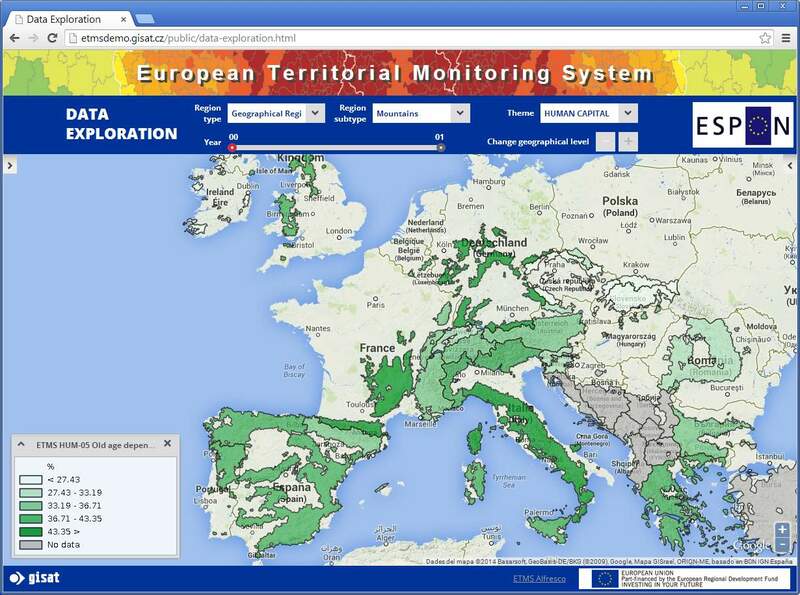 "The European Territorial Monitoring System (ETMS) developed by ESPON provides continuous territorial evidence on key development trends in European regions, specific type of territories, metropolitan regions, cities and towns in relation to the main policy orientations and objectives related to the TA2020, Europe 2020 Strategy and thematic objectives of the European Structural and Investment Funds 2014-2020. 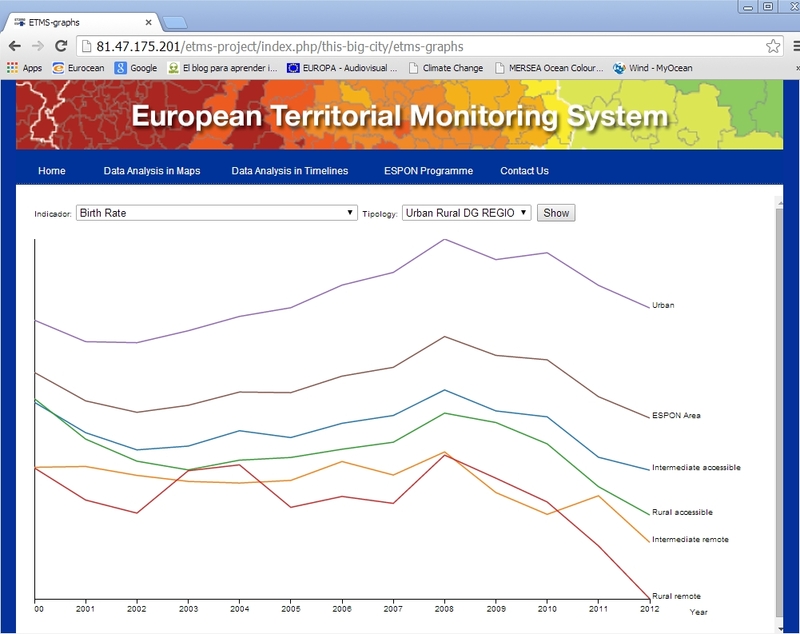 The European Territorial Monitoring System (ETMS), builds mainly on indicators and tools developed within the ESPON Programme, and which can serve as basis for a continuous monitoring of European territorial trends." This tool allows exploring, analysing and benchmarking territorial indicators at different graphical levels, filtered by territorial typologies and structures, namely regional typologies defined for NUTS delimitations, territories with specificities (e.g. mountains, islands), cities (based on Large Urban Zones), and Macro-regions. This tool is aimed at providing synthetic representation of territorial trends by different regional typologies, analytically in linear time lines. Typologies include e.g. urban-rural, Structural fund elegibility, EUROSTAT's Metropolitan Regions.